Get ready for it folks… I’m about to go negative. 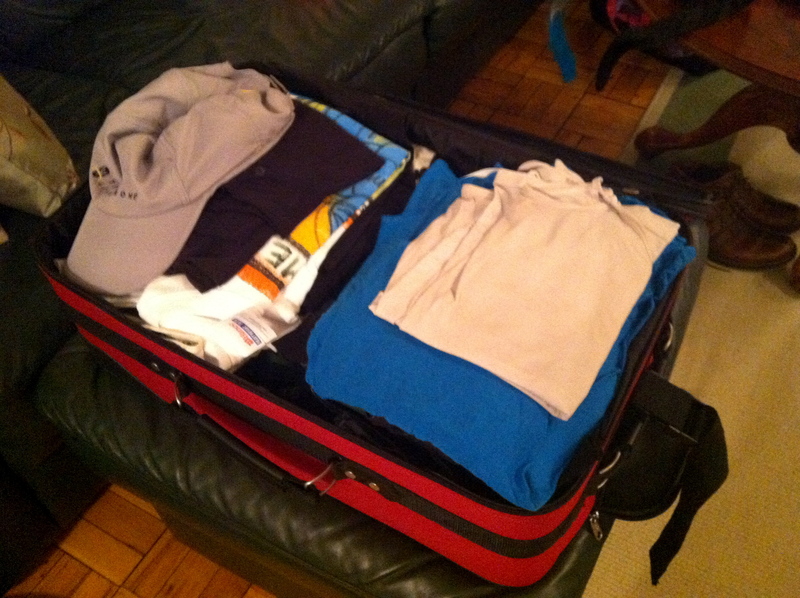 About packing that is (hehe almost got you there didn’t I? Look at me, cracking jokes). 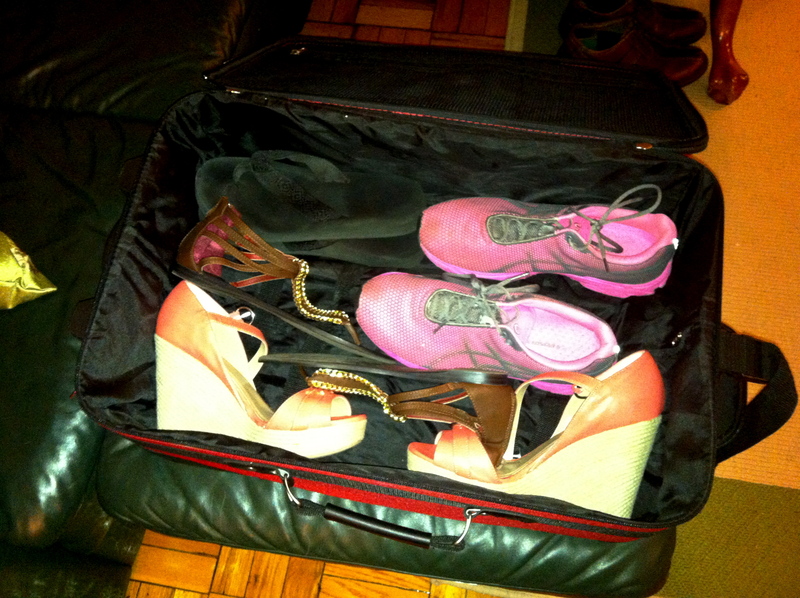 I really really really don’t like packing. I’m super Type A so it totally stresses me out! That and I, without exception, always wait until the last minute to do it. I inevitably forget some critical item too, every time! I one time spent an entire weekend in New York City with no bra (not a SINGLE one). This might have been something I should have considered when signing up for my first marathon in a city that is 700 miles away. 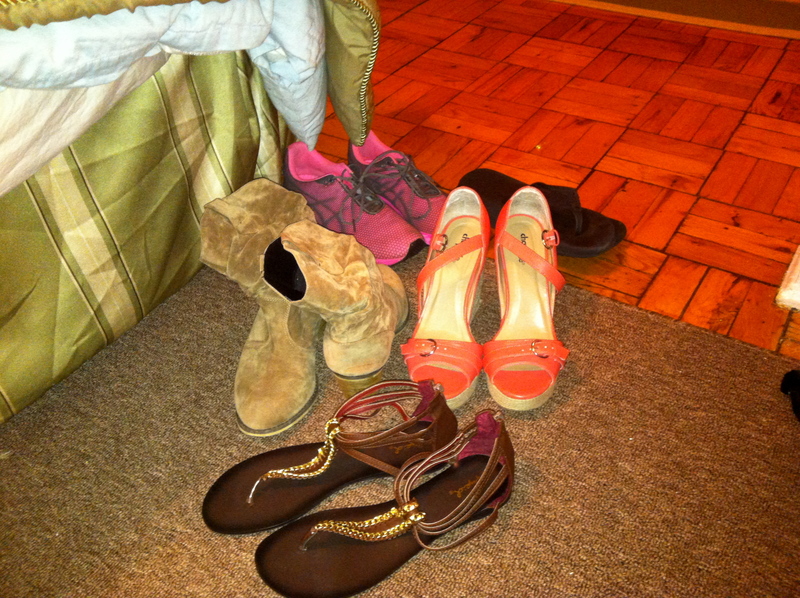 However, on a typical trip, if I forget something major it’s just an awesome excuse to go shopping! But I am traveling to my first marathon here. I need my “Tried-and-True, Nothing New” stuff with me!! I need MY STUFF not new stuff. 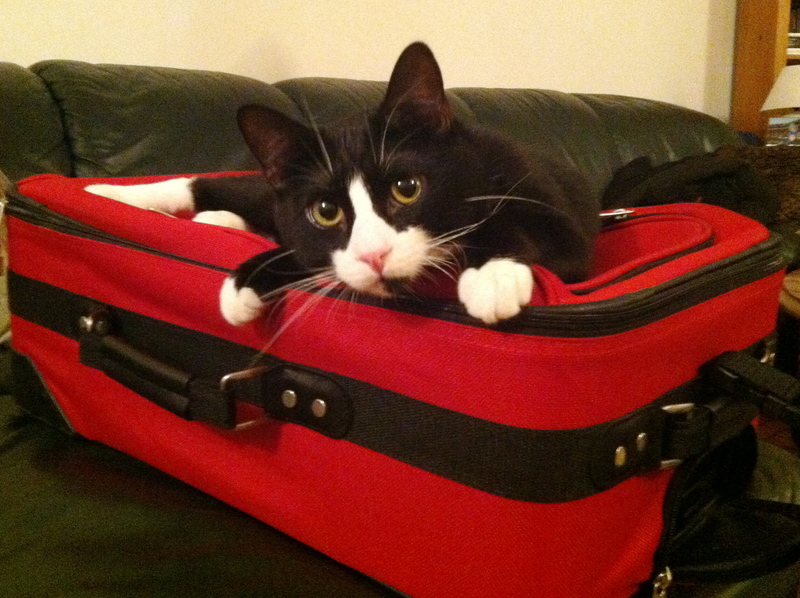 There are also a lot of variables in play here that make packing tricky. What if it rains? Should I wear a baseball cap or a headband? How hot will it be? Tank Top or Technical Tee? What if my feet are in bad shape after the race? What if I just can’t face the thought of wearing pants? (Don’t laugh! I often feel this way after extended bouts of exercise) Will I look ridiculous if I bring my cow girl hat?? (Answer… Don’t care, it’s coming with me). 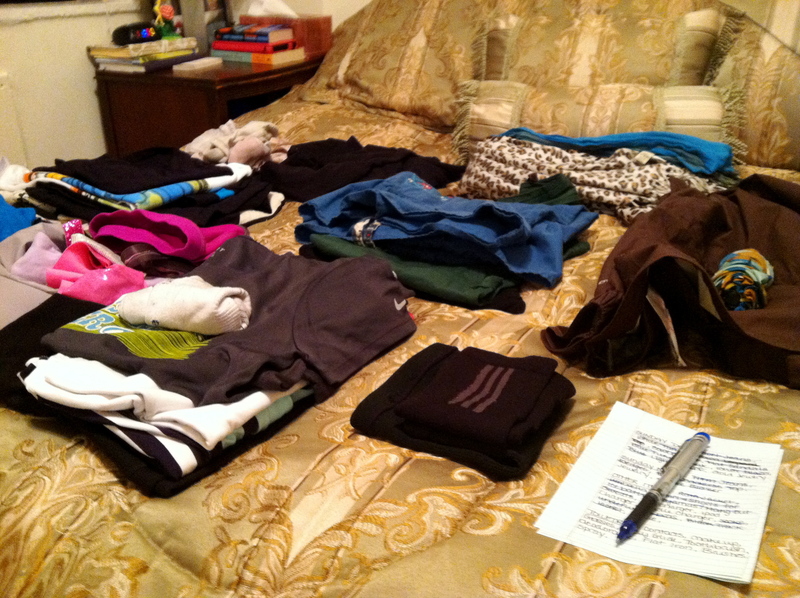 Anyways, I thought I’d share my packing plan and some tips for traveling to an out of town race. If you are traveling to a race that requires you to get on an airplane, unless you have at least two days from when you arrive until the race, CARRY ON. This is like a Murphy’s Law thing. Don’t tempt fate! I don’t really enjoy carrying on that much (you have to lug all your stuff around, including to the bathroom, and then let’s not forget how there is like a black market for space in the overhead bins on airplanes now!) but I need to ensure I will have all my stuff in the right place. Make a super, super detailed list. Mine appears below with some pictures. People make fun of me all the time for my list-making but you know what? It’s awesome. Don’t forget the little stuff / accessories for running. If you listen to music make sure you bring iPod, charger, maybe even an extra set of headphones. Body Glide, water belt if you wear one, extra pairs of socks, Gels / Blocks / Beans whatever you use, running sunglasses, a hat, hair accessories, rain gear, maybe a pair of arm sleeves just in case, compression gear, band-aids, etc. Print out all your materials ahead of time. Chances are you won’t have easy access to a printer so save yourself the hassle and print out confirmation emails, race information, etc ahead of time. I travel with a folder filled with all my information for easy access. Boarding passes, passport, restaurant reservations, race info, parking, hotel info, all of it. 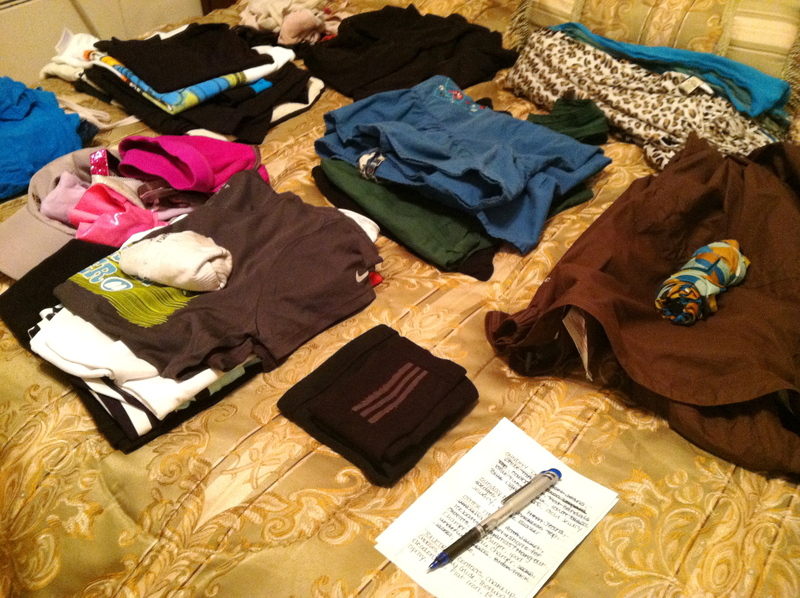 The infamous packing list… no I was seriously not kidding when I said really, really detailed. The lucky few who will be making the trip to Nashville! 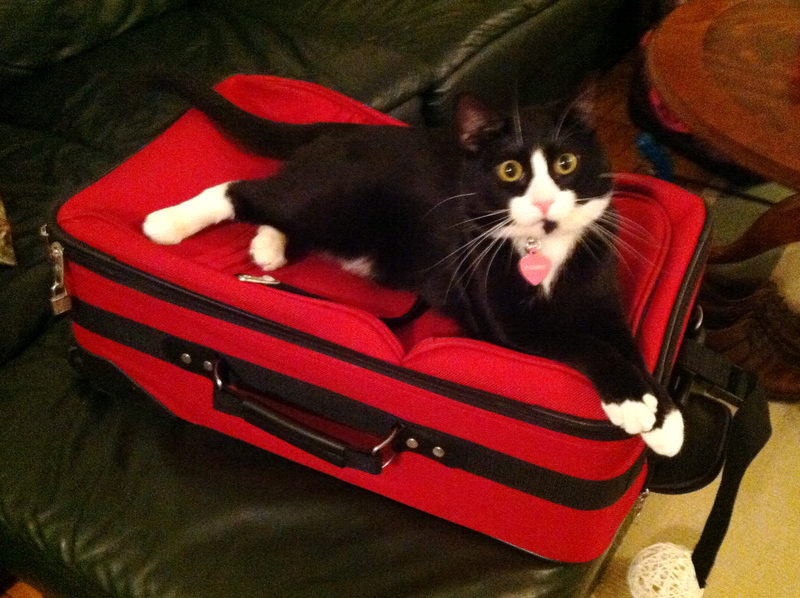 I’m all packed and ready to go! 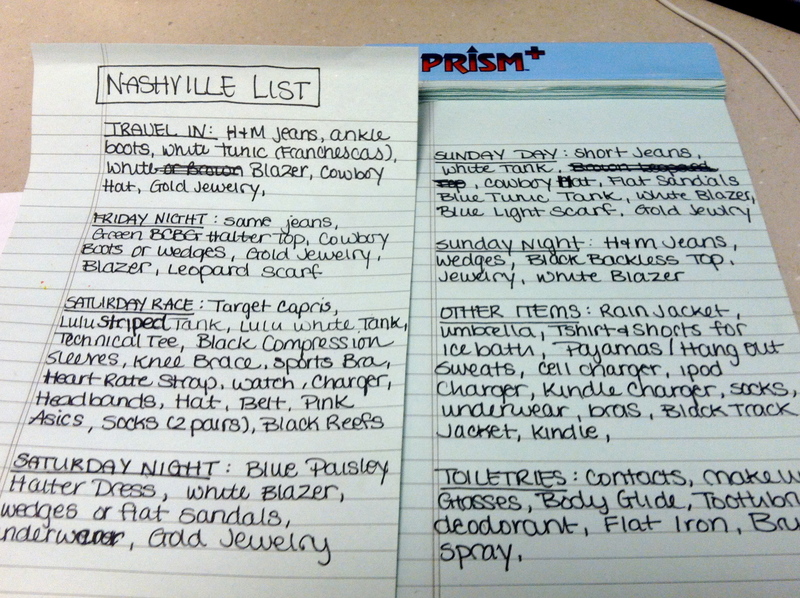 Wish me luck… Nashville HERE I COME!